Light up a Seraphic Fire this Holiday Season! A musical experience like no other, Seraphic Fire engulfs you and touches your very spirit! Let yourself soar with angelic voices singing timeless English carols and hypnotic Gregorian chants. 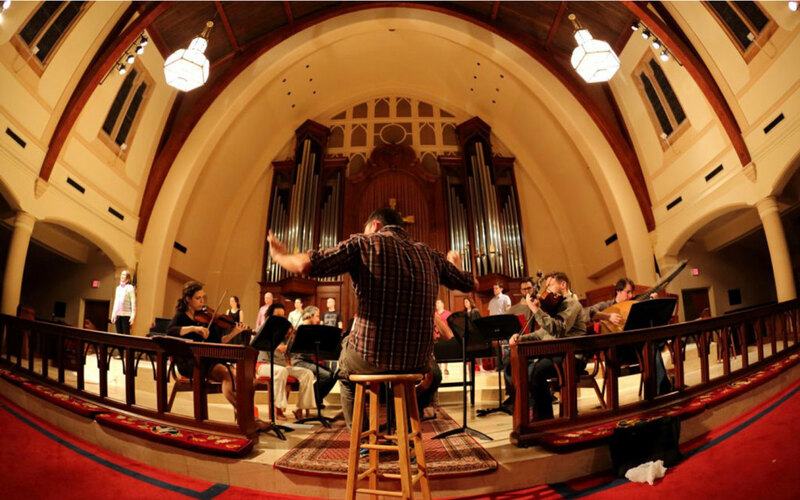 Led by Founder and Artistic Director Patrick Dupré Quigley, the professional musicians and choir ensemble display the highest level of ability, skill and precision. Seraphic Fire presents high-quality performances of under-performed music with cultural significance. The performances are appropriate for ages 7 and up. Everyone entering the theater requires a ticket regardless of age. This includes children and infants. Contact the SMDCAC Box Office for details.